Motorcycle riding can be as exhilarating as it is dangerous. If you choose to ride in Georgia, it is crucial that you exercise caution at all times. Remember to ride at speeds relative to the roadway conditions and to exercise safe riding habits. Read your owner’s manual. It is important to have a basic understanding of how your motorcycle works and what type of maintenance it may need. Perform an inspection. Before hitting the roadway, check the tires, cables, lights, horn, mirrors, oil, fuel, coolant, and brakes. In December 2009, a woman was injured in an Atlanta motorcycle accident when her vehicle crashed into a large pothole. According to a My Fox Atlanta news report, documents show that the city of Atlanta had been warned of the pothole back in October 2009, two months before the crash. Officials say that a metal plate was left over the pothole, but full repairs were not made until days after the accident. The city later agreed to pay the woman injured in the crash $220,000 to settle her lawsuit. Determining liability for an Atlanta traffic accident can be a complicated process. Potentially liable parties for a traffic accident include motorists involved in the accident, the manufacturer of a potentially defective auto part, or even the city if the accident occurred as the result of a dangerous roadway condition. A 24-year-old woman was injured in a Georgia traffic accident involving a head-on collision between a motorcycle and an SUV. According to a WLTZ news report, the motorcycle crash occurred at Milgen Road and Milgen Court in Columbus. Officials are trying to determine if the victim’s motorcycle crossed the centerline before crashing into the SUV. She has been listed in critical condition and the SUV’s driver was hospitalized with back and neck pain. It is not clear if either motorist will face citations for the collision. There are a number of questions that arise whenever a head-on collision occurs at an intersection. Did the accident result from a motorist drifting into oncoming traffic, or did the collision occur as the result of a dangerous left turn? Did one of the drivers fail to yield the right of way at the intersection? Did one of the drivers enter oncoming traffic while fatigued or under the influence of drugs or alcohol? Did a dangerous roadway condition contribute to the crash? A 22-year-old Canton woman was injured in a Georgia traffic accident when a truck struck her motorcycle. According to a CBS Atlanta news report, the motorcycle crash occurred on GA 140 at Hickory Nut Drive in Cherokee County. Officials say a 62-year-old man was driving a Chevrolet S10 truck that struck the motorcycle and ran the female rider over. She sustained serious injuries in the crash. The truck driver remained at the scene and was not cited for the crash. 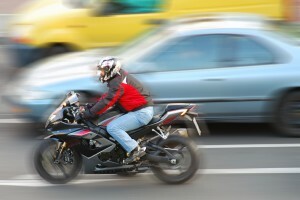 Georgia motorcycle accidents often result in serious or fatal injuries. In the year 2008, 12 percent of the people killed in Georgia traffic accidents were motorcyclists. According to the Governor’s Office of Highway Safety (GOHS), the 177 people killed in Georgia motorcycle accidents in the year 2008 reflects the highest highway motorcycle fatality count in 15 years. GOHS also reports that nearly a third of all fatal motorcycle crashes between the years 2004 and 2008 occurred in Fulton, Gwinnett, Cobb, DeKalb, and Chatham counties. 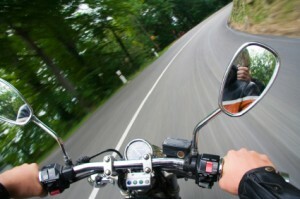 Motorcycle accidents can cause serious injury or even death. Often, the person who suffers the most damage in a motorcycle crash is the motorcyclist, who doesn’t have the protection that a motor vehicle affords. Wearing a motorcycle helmet reduces the chances that the rider will suffer a head or face injury in a crash and reduces the severity of these types of injuries when they do occur, according to a recent study published by the U.S. National Highway Traffic Safety Administration (NHTSA). The NHTSA study examined data from 104,472 motorcycle accidents in 18 states over three years. By crunching the numbers, researchers revealed some interesting facts that should encourage any rider never to get on a bike without a helmet. Get your license, be legal. It’s all about attitude. 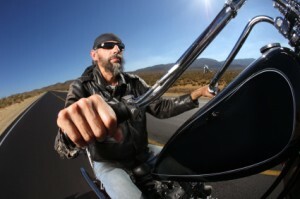 Both unlicensed and licensed riders may have skill and experience, but licensed riders tend to take motorcycling more seriously, and thus are involved in fewer accidents. Start off right and get your license. Take a training course. Knowing someone who rides is great, but he or she is not usually the best choice when you need someone to train you. 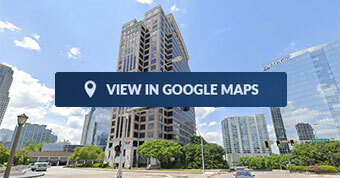 Go with an objective and licensed professional. Georgia’s long, open roads are a prime destination for motorcycle riders. But like any riding environment, motorcyclists are significantly more vulnerable to accidents and injuries than other motor vehicle operators, showing the need for increased motorcycle safety. The Georgia Governor’s Office of Highway Safety (GOHS) reported 192,782 registered bikes in the state in 2008. From that riding pool, riders were involved in 5,051 crashes throughout the state, which resulted in 3,471 injuries and 177 fatalities. The high percentage of accidents that result in injuries for motorcycle riders can be attributed to numerous factors, with rider vulnerability at the top of the list. Motorcycles are often lost in the sea of larger, heavier vehicles while moving through traffic; thus, one slight oversight or miscalculation by another vehicle driver can prove devastating for riders.